Here's a quick giveaway for an essential daily item. Open to US residents only through 5/29. Good luck. Eternal Bloom Moisturizing Body Wash: A perfect balance between fruity and flora awaits in the shower. The refreshing pear and apple blossom fragrance is inviting, invigorating, and fresh. Blushing Bouquet Moisturizing Body Wash: This sensory loaded scent offers calming May Blossoms that captivates senses and feels fresh. 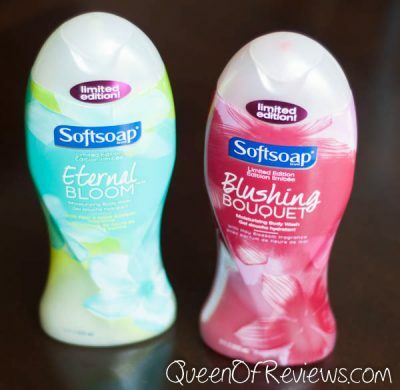 I think I'd like the Eternal Bloom scent the best. The other scent sounds like it would be a stronger floral scent. Both sound nice, though. I'm most excited to try the Eternal Bloom. The description makes it sound like a scent that I would be fond of. Hi! I would like to try the Eternal Bloom Moisturizing Body Wash. I love fruity and floral scents. They are fresh and invigorating to my body and mind! I'm interested in Eternal Bloom Moisturizing Body Wash. I'd like to try the Eternal Bloom Moisturizing Body Wash. The fragrance of pear and apple blossoms together sounds amazing!